His father Stuart paid tribute to his beloved son, who he said had held Ireland in a "special place in his heart". 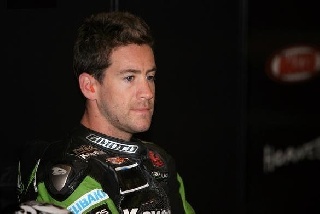 "Simon loved road racing and he loved competing at the North West 200," he said. "He has had a motorbike since he was four years old and started racing when he was 16. "From that first race Simon progressed to riding for the factory Honda TT Legends team and his Mum and I are very proud of his racing achievements." "Road racing was in his blood and Simon preferred the roads to short circuits. He was fully aware of the dangers involved but he loved the challenge that that offered. Simon always said ‘Once you’ve been on the roads there’s nothing else to compare with it." Simon Andrews (29) was airlifted to Belfast’s Royal Victoria Hospital at the weekend, after the accident at the Metropole section in the Superstock race. The rider, from Evesham in Worcestershire had been riding for the Penz13.com BMW team. Footage of the crash had circulated on YouTube, but race organisers asked that it be removed out of consideration for Mr Andrews’ family. The rider was badly hurt at the World Endurance Le Mans 24-Hour race in 2013, while competing with the Honda TT Legends team. He also suffered a broken leg following a serious crash at Snetterton in 2011. North West 200 event director Mervyn Whyte said Simon was a "superb rider and a great character in the paddock". "This is a very sad day and I want to offer my condolences to Simon’s family and friends and to his race team," he said. "He was a huge asset to our race. It was an absolute pleasure to work with him and he was always very helpful when we asked for his assistance. "He will be sadly missed by everyone at the North West 200."